Lobobog: Struggling with your marketing output? Have you considered outsourcing? 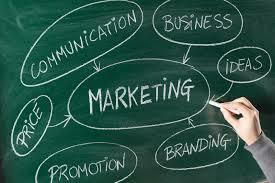 Struggling with your marketing output? Have you considered outsourcing? Many companies who opt to use external agencies find the process a better use of cost and resources. Agencies can look at your strategies with a fresh eye and will offer advice that is proven to work, not just the latest, greatest marketing trend. Projects are completed, on time and budget. Agencies often have relationships with vendors so can offer discounts on printing, merchandise and production expenses. Do you have the capabilities to carry out industry research? Do you have marketing and PR knowledge? An extensive network of contacts? Do you have a budget and is it important to get an external perspective? The benefits of outsourcing marketing are infinite but the key aspects to keep in mind are your budget, resources in terms of time and skills force and the need for specialist knowledge. What is required to meet your objectives? What are your assumptions, dependencies and constraints? What marketing issues is the brand facing/expecting to face in the near future? What brand competitor information is relevant? What competitors should the agency have a look at? What's the rationale behind the project? What benefits does it offer the consumer? What is the brand's communication strategy? What are we trying to say about the brand to our audience? What are its strengths? Its weaknesses? Its opportunities? Who will supply the evaluation/performance indicators? Is there an opportunity to cross-sell/up-sell? What are their needs that have brought them to the site? Why doesn't the current site meet these needs? Has research taken place? Is there any research the agency can look at? If applicable, supply a broad map of the content (with flow chart) for the project. Do you have any advice on the use of images/language? What's the audience's view on the current content (quality/relevance)? Should there be more interactivity? What level of accessibility must be maintained (level 1, level 2, level 3)? Are there any systems that must be used or involved in this project (like a database)? What will be the key measure of success? Is there anything that the site must tie into? An existing database? A CRM solution? What Legal requirements are there? For the logo? Copyright? Trademarks? Category legalities? Data protection? Are there brand usage guidelines that the agency can access? What is the budget? Is it including or excluding VAT? When should the agency present back?